Admittedly, adorned with gorgeous screen and longer battery, especially considering the new advanced performance brought by iPad Pro, iPad is becoming the second-most-popular way to watch movies, behind web browsing. But getting movies is expensive, for example, you will need to pay around $14.99 for a flick on Google Play or Amazon. A lot of people therefore are looking for ways on how to watch free movies on iPad. Rather than pay certain monthly charge for movie services online, here a comprehensive solution on free movie downloads for iPad in full 4K/HD quality, and watch movies on iPad with free movie apps for iPad smoothly is shared. Now to watch HD/Bluray movies with iPad (iPad Pro/Air 2/mini 4) can be easier. Enjoy! While most of the movie sites come at a price, there are various other websites offering movie resource for users to save movies to iPad freely & legally in full, like Archive.org, YouTube, Moviefone, Movieclips and more. To play movies free on iPad (iPad Pro/Air 2/mini 4), all you need is to get free movie downloads for iPad from those free movie site with a third-party movie downloader for iPad. 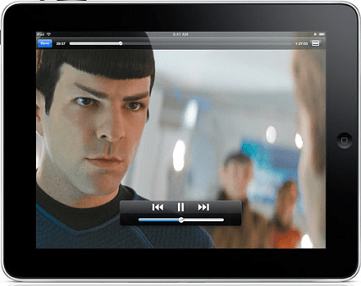 To that end, you can use MacX Video Converter Pro, a reliable iPad movie downloader and converter. As a totally 100% ads-free movie app for iPad, it comes with the most comprehensive solution to satisfy users' needs to stream free full movies on iPad: on one hand, it helps to free download Bollywood/Hollywood/Disney full movies, trailers, soundtrack, music videos in 4K 4096p, 1080p, 720p HD, SD, Bluray. 3D from 300+ video movie sites, including YouTube, Dailymotion, IMDb, Yahoo, Vimeo, Vevo, BBC etc with super-fast speed; on the other hand, it can free download movies for iPad by converting the downloaded movies to iPad accepted video/audio formats, including iPad Pro, iPad Air 2, iPad Mini 4/3, iPad 4/3/2 and other versions. Step 1: Free download this movie downloader for iPad and launch it. Copy the target free movie address and paste it to the address bar and click "analyze" to load the free movie details in the software. You are free to download any Bollywood/Hollywood/Disney movies. Step 2: To free watch movies using iPad, choose one of the iPad supported format like MP4. Or if you don't want to bother, just select the iPad (iPad Pro/Air 2/mini 4/3, iPad 4/3/2) from the device profile directly. Step 4: Hit "Download Now" to start the free movie downloads for iPad now. Then this iPad movie downloader will automatically download and convert the free movies to iPad. In addition to download free movies for iPad, you are also free to download HD movies to iPhone 6S /6/Plus/6S/7/8/X, Samsung, HTC, BlackBerry etc this way. Besides dedicated iPad movie downloader, there are variety of useful free movie apps for iPad/iPad Pro/Mini 4/Air 2 to free download movies and watch movies with iPad for free. For those who prefer online streaming, then the two free movie apps with/without jailbreak will be helpful. Speaking of movie apps for iPhone iPad, there are a lot you can rely on, including big names like Netflix, Hulu Plus, Aereo and more. But among the free movie apps that work well on iPad, you can use Crackle. It embraces with massive library of Hollywood/Hindi movies, television shows for free streaming. Get Crackle installed on iPad and you can enjoy free HD full movie on iPad now. No free movie downloads for iPad, no jailbreak are needed! For your jailbroken iPad, Popcorn Time will be a popular app to stream movies on iPad free (iPad Air 2/iPad Pro/mini 4 etc included). As claimed by its official site, Popcorn Time allows users to view the best Hindi/Hollywood movies & TV shows on iPad instantly in HD, with subtitles, for free! Right, with Popcorn Time, any hot latest flicks are accessible! Users won't need to download free movies for iPad, but they need to make sure that their iPads are jailbroken because Popcorn Time is not available in Apple' app store. Another way to stream movies on iPad (iPad Pro/mini4/Air 2...) for free is to add the DVD HD movies to iPad. Get your favorite movies from DVD to iPad isn't difficult, as there are many programs for that job. But the copy protections imposed on DVDs make it hard to get free movies for iPad from DVD. Good news is that there are tools working well with the problem. MacX DVD Ripper Pro, a top-notch DVD ripper to convert DVD to iPad with no quality loss for free enjoyment. It does an excellent job in allowing users to watch movies on iPad free by removing any DVD protections from Disney, Paramount, 20th Century Fox, Warner etc, and ripping the DVD movies to iPad (iPad Pro, iPad Air 2, iPad Mini 4/3, iPad 4/3/2), iPhone, Android Devices directly. Unlike free movie downloads for iPad, this way is much safer as you own the DVDs (except the illegal reproduction and distribution of protected movies). Open iTunes on your Mac or computer and click File. Select "Add File to Library" or "Add Folder to Library." 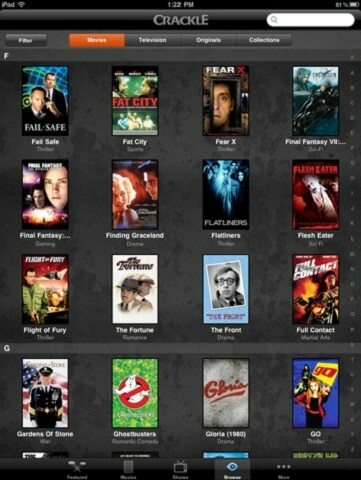 Browse where you stored the free movies on iPad. Then click on the file or folder you want to add. Now you can sync the movies from iTunes to iPad and start to play free movies on iPad with top quality now.